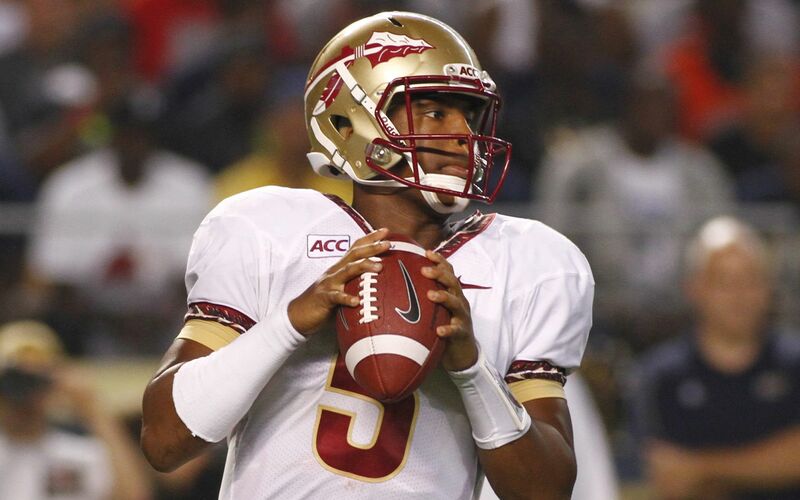 Florida State freshman quarterback Jameis Winston’s video-game stat line against Pittsburgh led the way last week as college football finally got started following an interminable offseason. Tomorrow night, the NFL opens the door on its 94th season when the Baltimore Ravens face the Denver Broncos. These opening weeks signal the start of five chaotic months at Bleacher Report, with hundreds of writers providing their opinions on the parallel football seasons. Here are a few helpful Quality Control reminders on the road to the BCS National Championship Game and Super Bowl. Remember that you are your best editor. When you’re finished writing an article, take a break and make sure to check all your facts, spelling and syntactical constructions for accurate, smooth reading. Football writers need to take extra proofreading care. There are 1,696 players on active NFL rosters—quite a few names and stories to potentially cover. Of course, there are thousands more in college football. You have no excuse for misspelling a name. It’s easy to verify: Just highlight, right-click and select the “Search Google for ‘____’” option in the right-click menu to open a tab that will search for the player’s name in an instant. Official team roster pages are best here, especially for determining things like whether a player uses periods in his abbreviated name. Use bios from established media outlets when necessary. For B/R Style, please review the football-related entries in the B/R Stylebook, which contains the official site guidelines on things like number and name presentations. There is an entire section on number presentation for American football in the Style Standard Clearinghouse as well as dozens of football-related entries in the Sports Usage Dictionary section. The rest of the B/R Stylebook is important as well, of course, and can be searched using Ctrl+F on a PC or Command+F on a Mac. Comments are at an all-time high whenever the NFL kicks into high gear. As a B/R writer you have a rare opportunity to interact with your readers. Don’t shy away from the comment threads. Immerse yourself in them. Pose questions, share opinions, provide clarity and enjoy the open forum with sports fans like yourself. Report anyone you think is abusive by flagging their comments. To do this, scroll over the comment box and click the “flag as offensive” option, which will notify a comment moderator. Email community@bleacherreport.com, CC’ing your assignment editor if you have one. Those two steps also work if your article’s comment thread is attacked with spam, which is most likely to happen on game days. Bleacher Report’s Content Standards can be found here, with a breakdown of the most common mistakes here. Specific to the NFL, adding analysis from outside sources is commonplace, since sites like Pro Football Focus, Football Outsiders, OurLads and others offer a wealth of information. When you use this information, please make sure all advanced and/or proprietary analysis is linked and cited. Advanced and/or proprietary analysis is loosely defined as (a) anything you can’t find in a bevy of locations, (b) a writer or site’s original research or (c) something a bit more nuanced and detailed. For example, if you head over to Pro Football Focus and see that Neil Hornsby claims the Carolina Panthers were in the nickel defense 67 percent of the time this preseason, you need to source that with a link and citation (“per Neil Hornsby of Pro Football Focus,” for example). On the flipside, saying Panthers rookie defensive tackle Star Lotulelei had four solo tackles against the Baltimore Ravens in the preseason does not need sourcing, as it’s a basic box-score stat you can find in many places. Citing and linking advanced stats used from outside sources is discussed in more detail here.